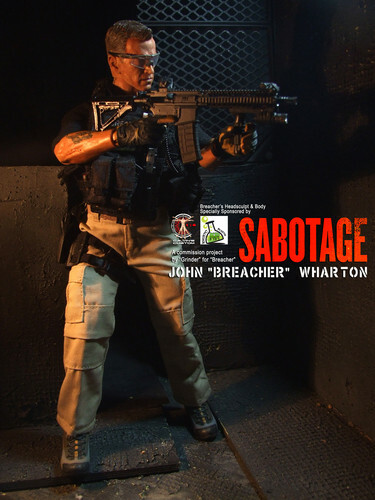 Calvin's Custom One Sixth Scale Arnold Schwarzenegger as Breacher in Sabotage figure. Calvin's Custom One Sixth Scale Arnold Schwarzenegger as Breacher in Sabotage figure. HD Wallpaper and background images in the Arnold Schwarzenegger club tagged: photo calvin's custom calvinscustom calvinlo one sixth 1:6 customizer arnold schwarzenegger joe manganiello sabotage 2014 breacher grinder figure hong kong conan the barbarian terminator. This Arnold Schwarzenegger photo might contain schütze.